Is your business secure enough? This is a question that many business people will not have a definite answer to. However, the security of your business is entirely, and should be, a cause of concern. As much as landing your first customers is an important factor for business success, security is much more important and should never be taken for granted at any point. That is why every startup business person will research to find out the most secure suburban area when deciding the ideal location for his or her business. 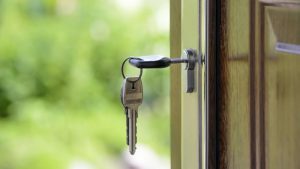 In this article, we feature some of the important roles a business owner should consider when choosing a commercial locksmith for their business. A lockout is one of the most stressing occurrences that business owners can face. This is often a result of a damaged lock. Imagine a circumstance where you aren’t able to access your business as a result of a lockout. You potentially risk losing fresh leads that could have been ready to purchase and turned into sales. 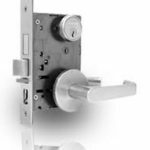 Don’t let damaged locks keep you from accessing your office. 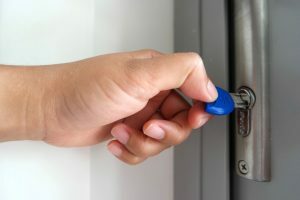 Contact a qualified commercial locksmith for lock repair. Your business security is vulnerable to burglary and this might be causing you sleepless nights. 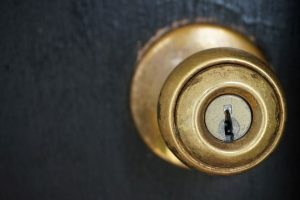 You never know when the burglars plan to strike next, which is why it’s important that you hire a qualified commercial locksmith to install advanced commercial security solutions. This investment will save you from sleepless nights as you will always be assured your office and commercial building are safe throughout. Looking to reinforce authorized access rules in your business? How about installing an Access Control System? This is a system that will guarantee you controlled access; hence, you will be able to maintain privacy as well as better accountability. This also guarantees you better protection for your important assets. Commercial locksmiths also maintain a high availability letting you enjoy the convenience of accessing your business at anytime. Therefore, whether it’s at midnight or during the day, be sure to contact an emergency commercial locksmith for immediate assistance. 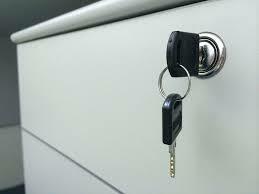 Armen Locksmith Glendale is your best commercial locksmith services provider. Contact us today for incredible prices and quotes you’ve never seen before. We offer emergency response to commercial clients at pocket friendly pricing, guaranteed. Taking out the mortise lock from the front door of a nice old house is not an easy task but it’s definitely not impossible either. You may want to remove the mortise lock and change it for something more modern or simply polish it up. Whatever your reason, this article can help you take out a mortise lock. The edge of the door has a long brass plate. It has a bolt and a latch along with a couple of buttons. On the inside is a knob that moves the latch and a thumb-turn that kicks the bolt. On the outside is a grip handle that has a small lever. The lever can be moved by a thumb and above the lever is the escutcheon and a lock cylinder. Inside the knob, the shank has a screw or two that holds the knob on the spindle. Once you have backed off the screws you can unscrew the knob.You will find that the threaded spindles are in two halves. One half will simply out and the other half can then be tipped from out of the hole. However, if you find that the spindle is non-threaded, you will see that the set screw here goes into a hole on the spindle. When you remove the set screw the knob will off the spindle. If you just want to get the lock serviced, you don’t need to remove the knob rose plate but if you are painting the door you will have to remove it. You will find the knob rose plate with little wood screws. Held in place by two screws, you can easily take out the thumb turn by removing the screws. 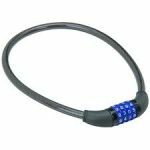 The lock cylinder is held in place by a set screw, threaded into the lock body. On the edge of the door, the cylinder set screw can be found in line with the cylinder. Here, you do not want to completely take out the screw but just loosen it up enough so that the cylinder turns 2-4 times. 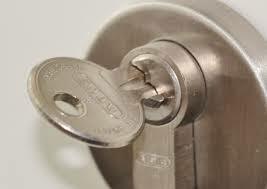 An easy way to do this is by inserting the key almost all the way in and then use the key to unscrew the cylinder. Taking out the face plate. Now it is the just two wooden screws at bottom and top that are keeping the lock body in place. You can slide the lock body out of the pocket if you extend the bolt. However, if the lock body is stuck, you can put a screw driver into spindle hole and pull a bit at it until the face plate comes out a little bit. What you should NOT DO is try to pry off the face plate. It will just mess up the face plate and the door. If you also want to take off the grip handle, it is either screwed in with wooden screws or has a bolt from the inside.